"World's largest model aviation association, representing a membership of more than 175,000 from every walk of life, income level and age group. 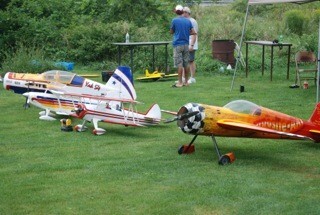 Organizer of the annual National Aeromodeling Championships, the world's largest model airplane competition. An associate member of the National Aeronautic Association. Through NAA, AMA is recognized by the Fédération Aéronautique Internationale (FAI), the world governing body of all aviation activity, as the only organization which may direct U.S. participation in international aeromodeling activities."